« A Smile On A Crocodile! Tasha and Simon got married at Morrell’s at the end of August, and their vintage chic decor suited the venue perfectly. Their two-tiered cake has a chocolate tier at the bottom, and a gluten-free vanilla tier at the top, covered in pale blush sugar paste ruffles edged in places with a little gold. The rose is also made of sugar paste. 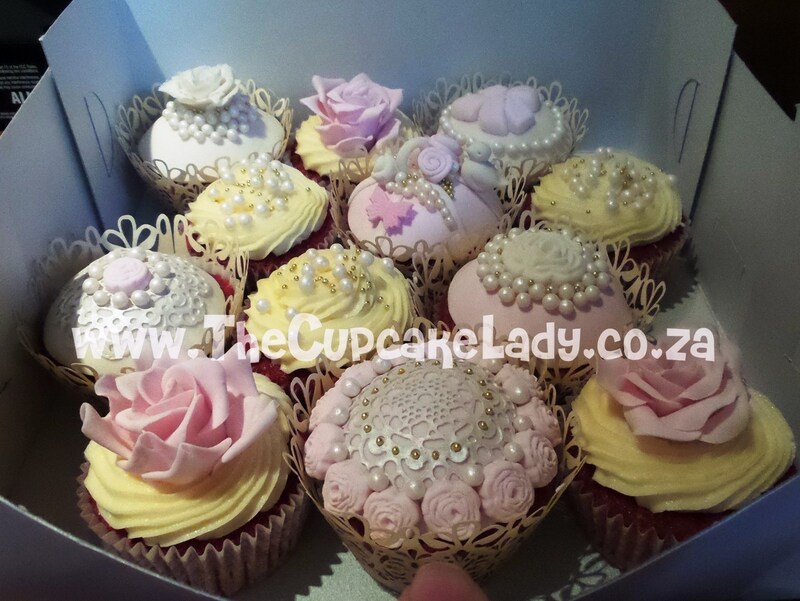 The vanilla cupcakes are topped with pale blush vanilla butter icing, and the red velvet cupcakes are topped with cream cheese icing. 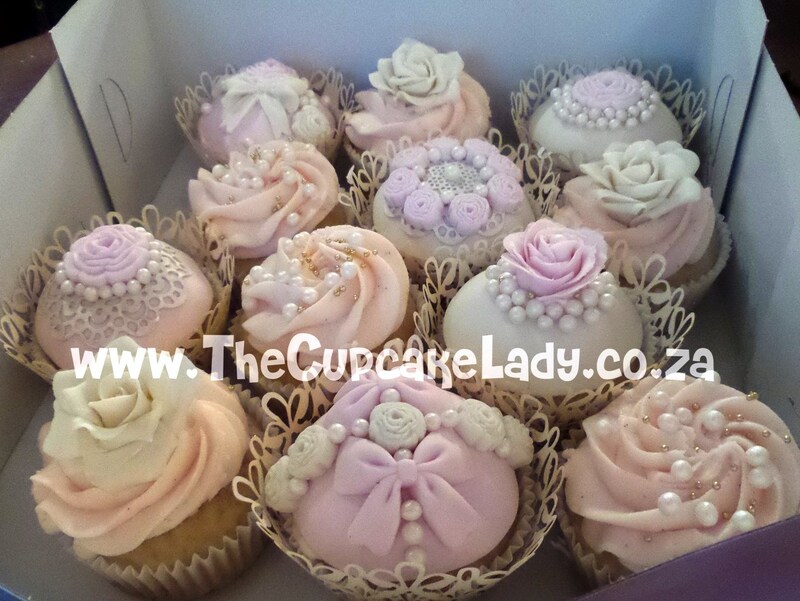 They are decorated with handmade sugar paste roses, pearls, and sugar paste domes embellished with edible lace, bows and flowers. Some of them are also in decorative, paper lace cupcake wrappers. The cake table was beautifully laid out with cake stands and teacups! I am thrilled to know from Tasha that they loved their cake and cupcakes, and the only thing “leftover” was a slice of chocolate cake that the couple shared the next day! As soon as I get the links to the wedding photos from the photographer I’ll share that here too.